from w - So now he thinks he can sing. Our Geelong mayor is something alright! MICHAEL Buble and Miley Cyrus will headline a funky new playlist of songs set to blast out over the waterfront this Christmas. While global superstars won’t be there in person, their pop-tactic versions of classic carols will be heard every eight minutes, with the songs programmed to co-ordinate with flashing lights on the floating Christmas tree. Carols sung by Kylie Minogue, Chris Isaak, Mariah Carey and the Jackson 5 will also feature. The Christmas tree will be lit up at an official launch on Friday, November 13, with the winner of a colouring competition set to flick the switch. Those attending the launch are also being encouraged to bring along a Christmas gift for an underprivileged child as part of the Bethany BayFM Giving Tree Appeal. Even more Christmas festivities will get underway this Friday night when Geelong’s Myer Christmas Windows are unveiled. The window’s will be unveiled this Friday at 5.30pm. The lighting of the Christmas tree will take place at the waterfront on Friday November 13 at 9.15pm, with entertainment beginning from 6.30pm. Miley? How apt! Cr Lyons has come in like a wrecking ball! Nothing funky about that playlist. The Christmas tree playlist is a rather secular lot of songs - what about traditional carols that are about the Christian Christmas story? 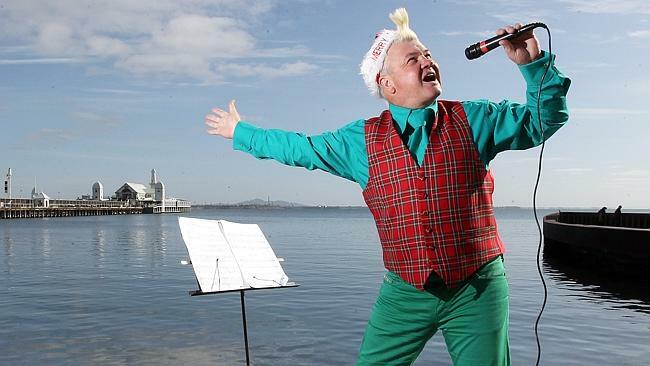 Is the Geelong Mayor going too far this time?